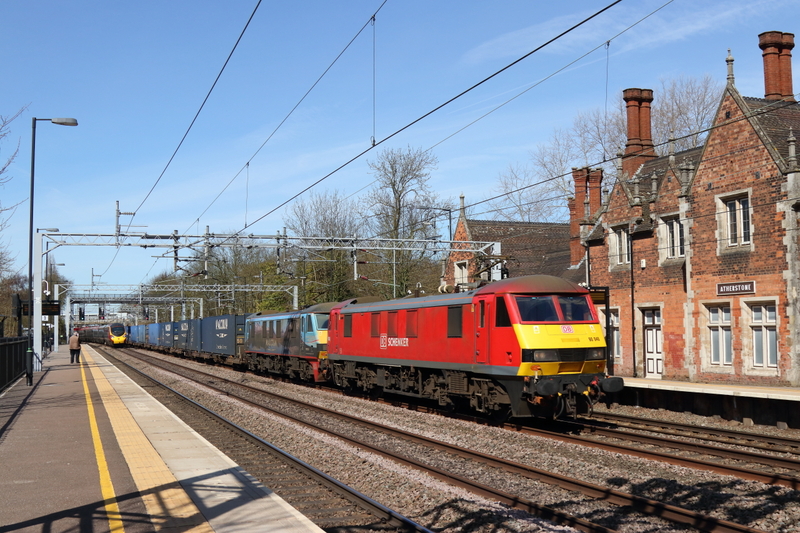 ​ 90029 1D19 15.03 Departure to Leeds. 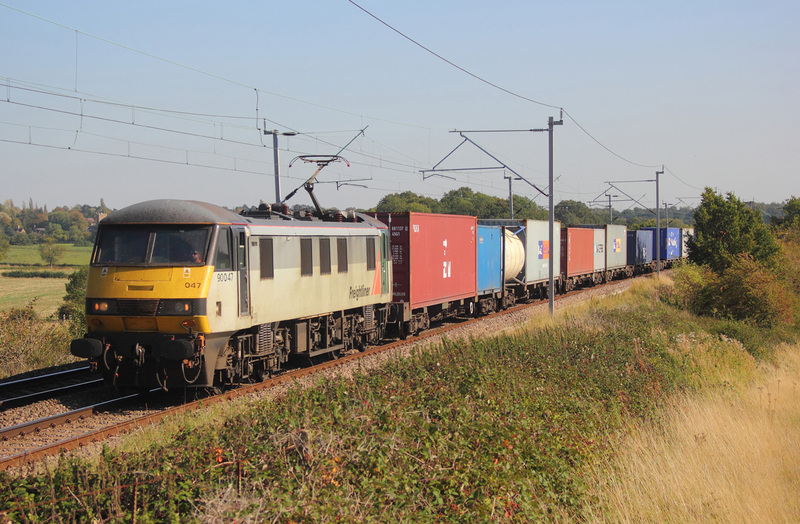 90040+90028 4M25 Mossend to Daventry inter-model. 90046+90041 4M27 Coatbridge to Daventry inter-model. 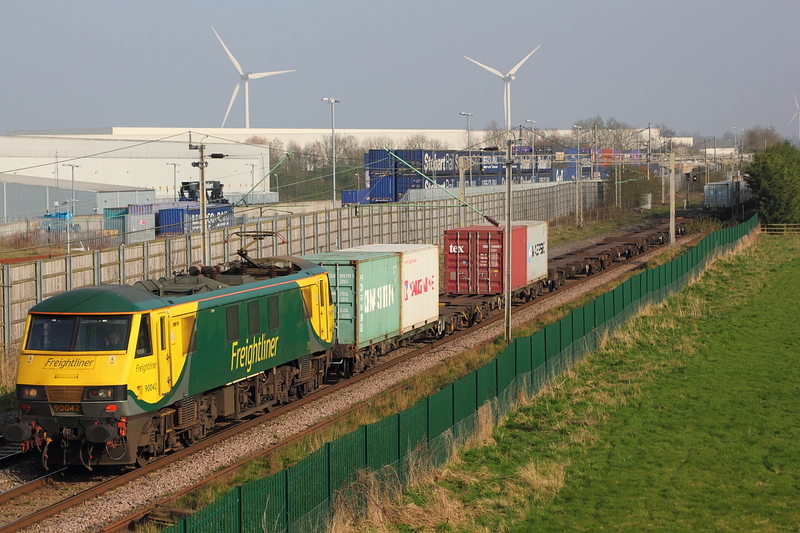 ​ 90018 6X77 Dagenham to Mossend loaded Ford Transits. 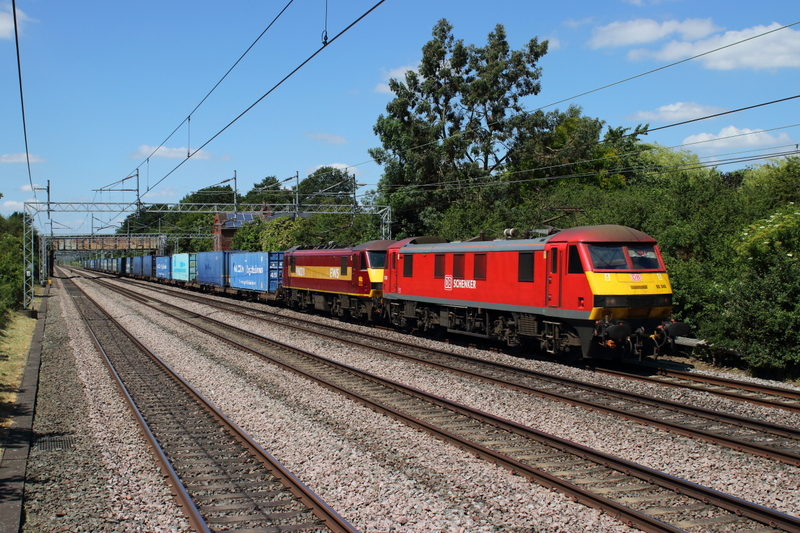 ​ 90040+90028 4M25 Mossend to Daventry inter-model. 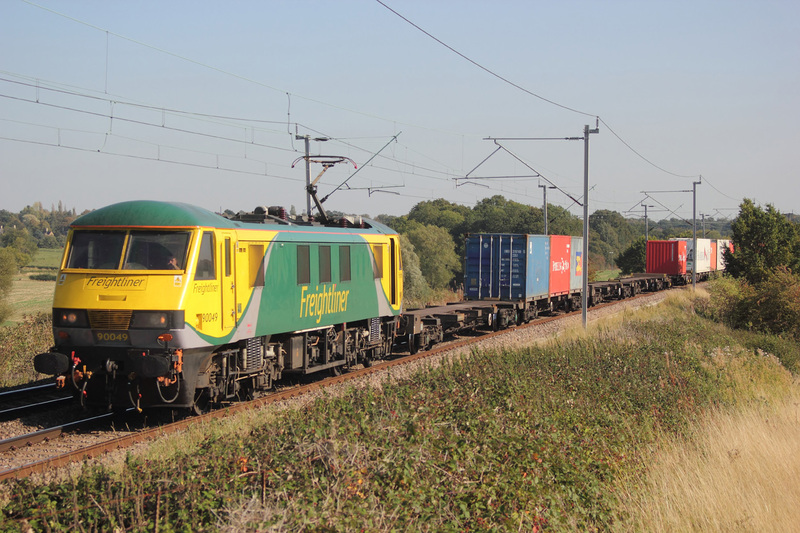 ​ 90045+90043 4S45 Daventry to Coatbridge inter-model. 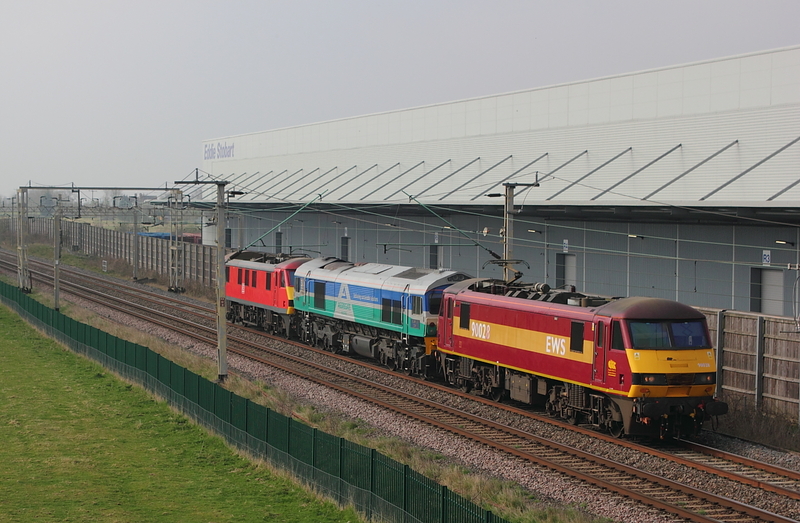 90018" Pride of Bellshill"+900040 4M25 Mossend to Daventry inter-model. 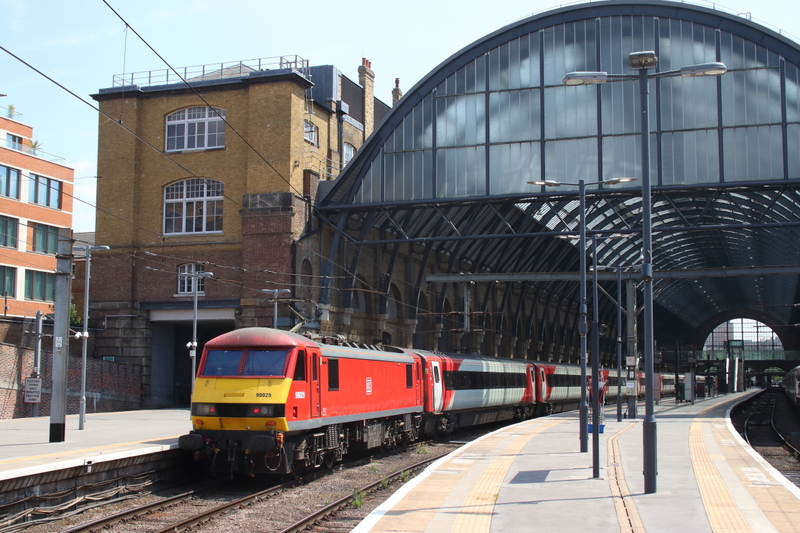 90019"Penny Black" 1D04 07.35 Kings Cross to Leeds. 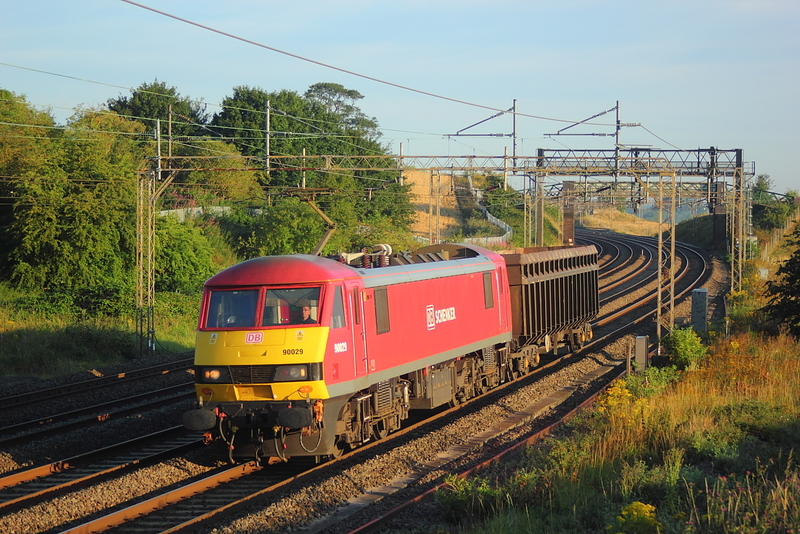 ​ 90028+90037 4M25 Mossend to Daventry inter-model. 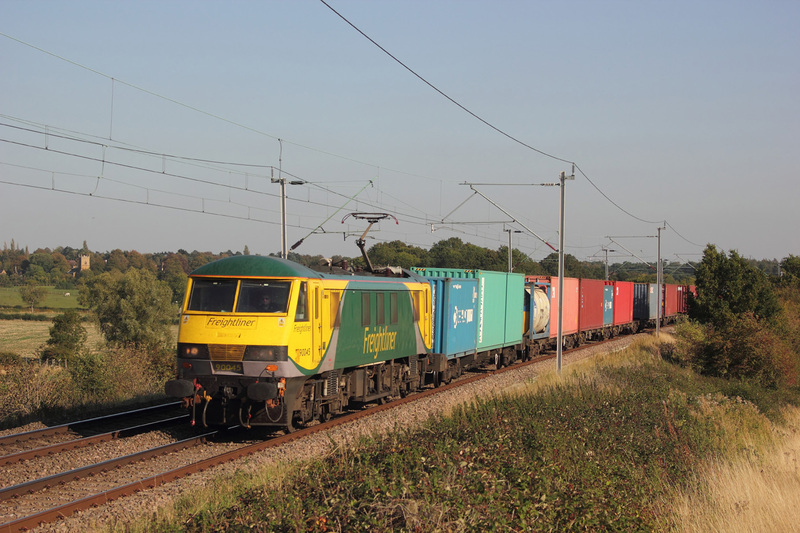 90040+90024 4M25 Mossend to Daventry intermodel. 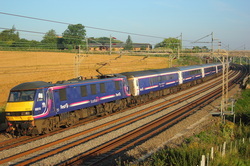 ​ 90016+90049 4M27 Coatbridge to Daventry inter-model. 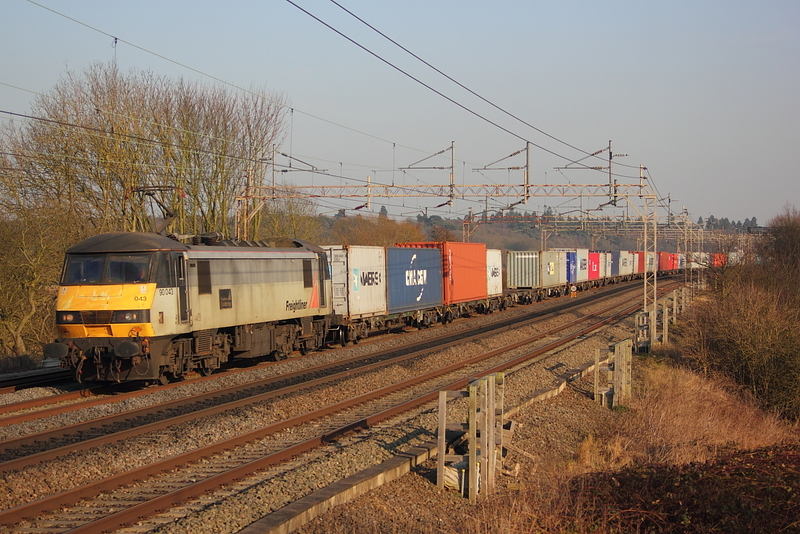 90048+90016 4S44 Daventry to Coatbridge liner. 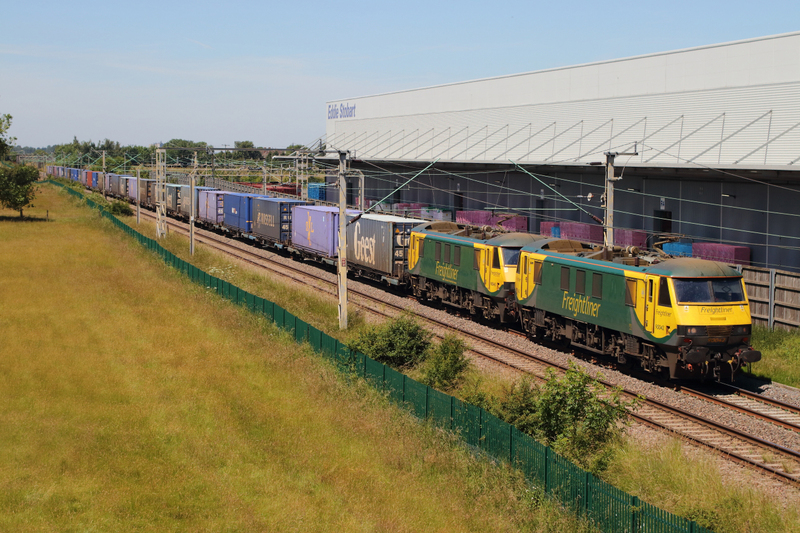 90016 4M88 Felixtowe to Crewe Basford Hall liner passing the huge DIRFT complex. At last a bit of sun,as 59002 "Alan J Day" passes after a visit to Crewe ,sandwiched between 90028 and 90029 forming 0A06 Crewe T.M.D. to Wembley Eur Frt Ops Centre then a move to the Mendips I presume. Running an hour late may well explain 90044 passing Old Linslade on the slow with 1M16 20.44(Mon) Inverness to London Euston Caledonian sleeper. Due to a loco failure at Aviemore,a smaller portion of the overnight Caledonian sleeper started instead from Edingburgh leaving at 01.38 ,running as 1Z16 , 90039 passes on time,heading for London Euston. 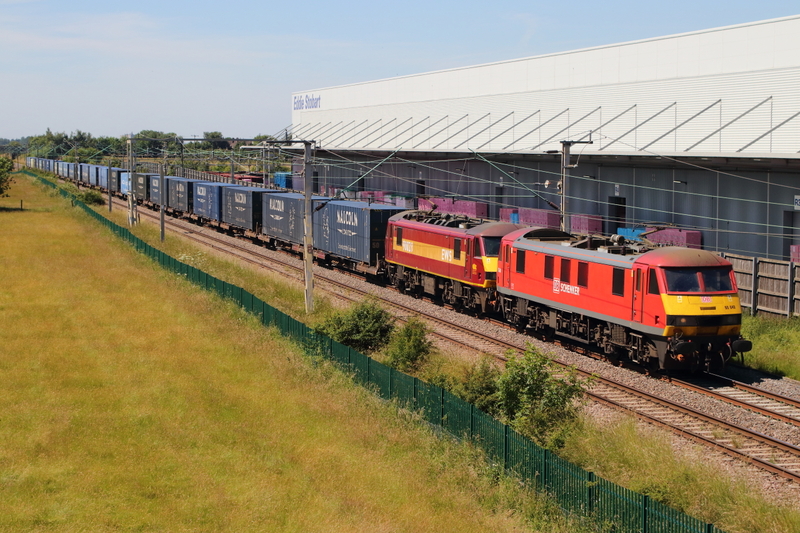 The 6M76 21.46(Thur) service from Mossend to Wembley is booked for a pair of class 90,however running 100 minutes early,sole 90029 turns up with one scrap wagon in tow ,so first disappointment of the day already. Looking resplendent in its recent new DBS livery,90036 passing on 1M16 20.47(Fri) Inverness to Euston sleeper service. 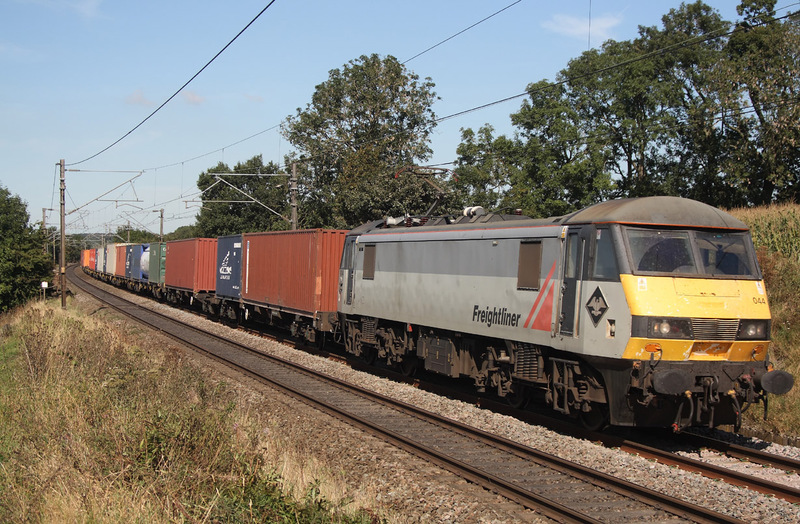 90045 4L89 Coatbridge to Felixtowe liner. Scotrail liveried 90019 powers past in nice clear early morning light on 1M16,the 20.47(Thur) Inverness to Euston sleeper service. 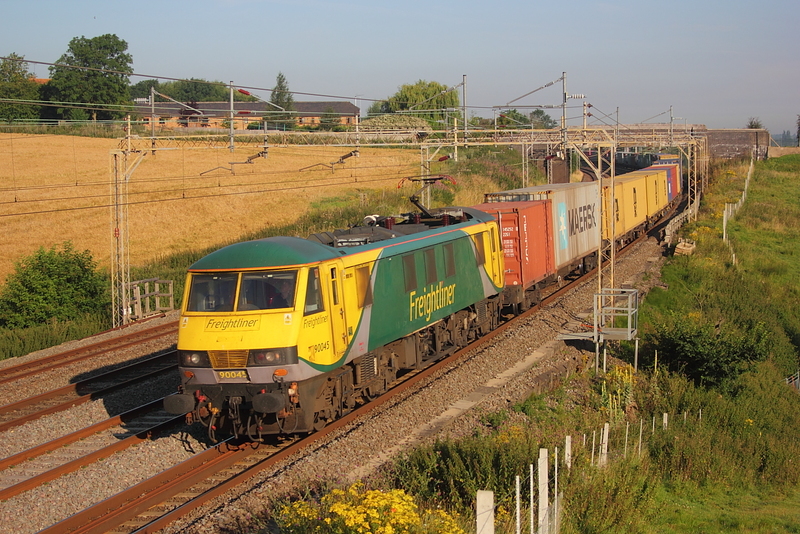 90043"Freightliner Coatbridge"4M87 Felixtowe to Trafford Park liner. 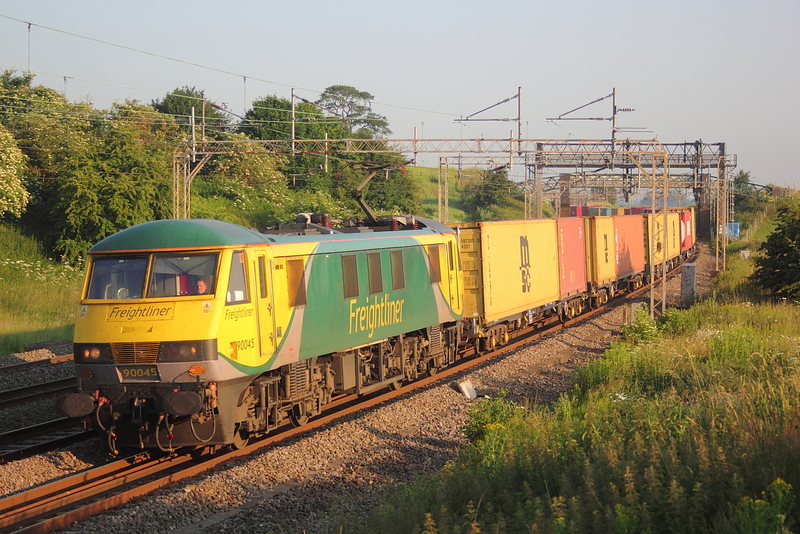 90045..4M88 Felixtowe to Crewe liner. 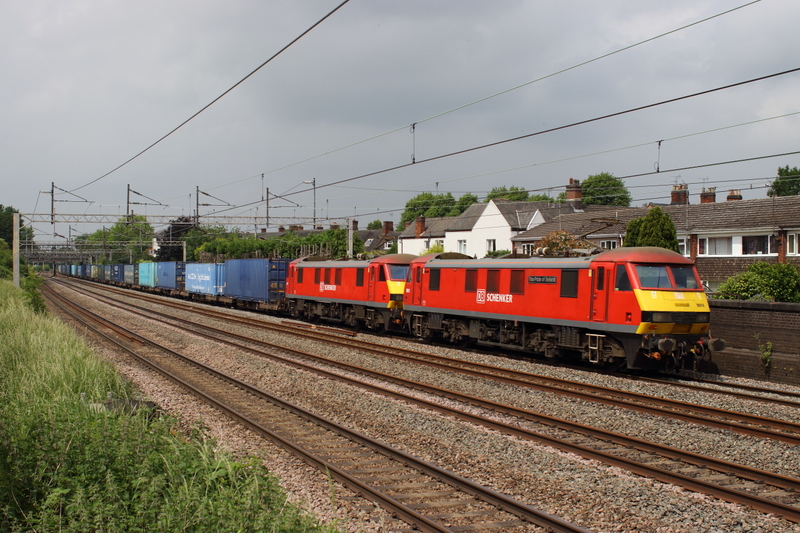 90047..4M81 Felixtowe to Crewe liner. 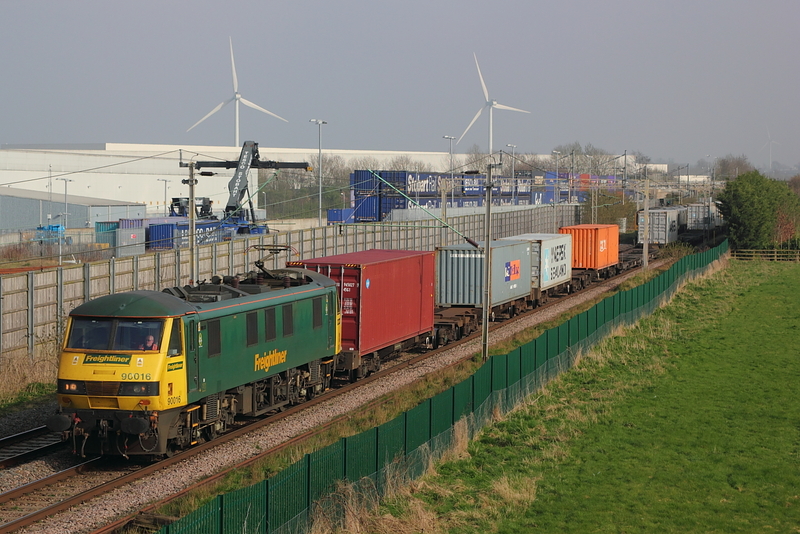 07/03/11 Chelmscote..90043 "Freightliner Coatbridge" 4M87 Felixtowe to Trafford Park liner. 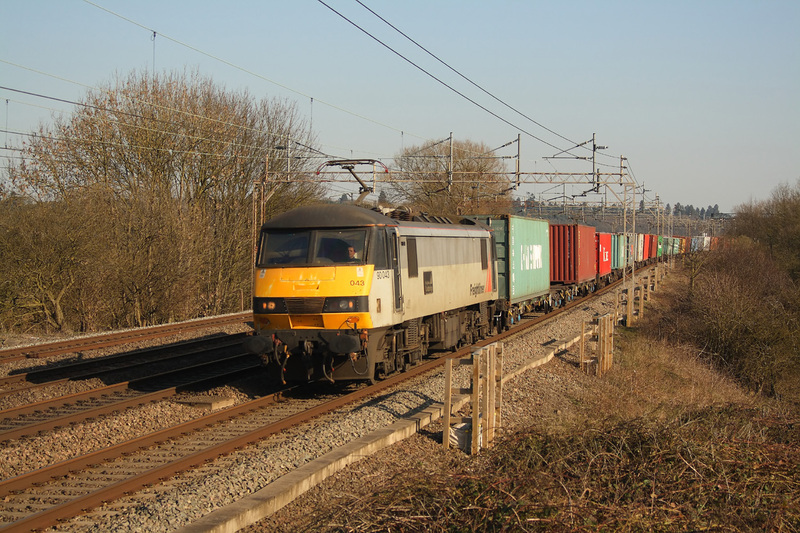 07/03/11 Chelmscote..90048..4L89 Crewe to Felixtowe liner. 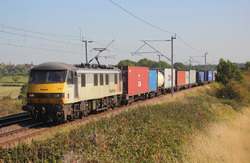 90041..4M88 Felixtowe to Crewe liner. 90044..4K64 Garston to Crewe Basford Hall liner. 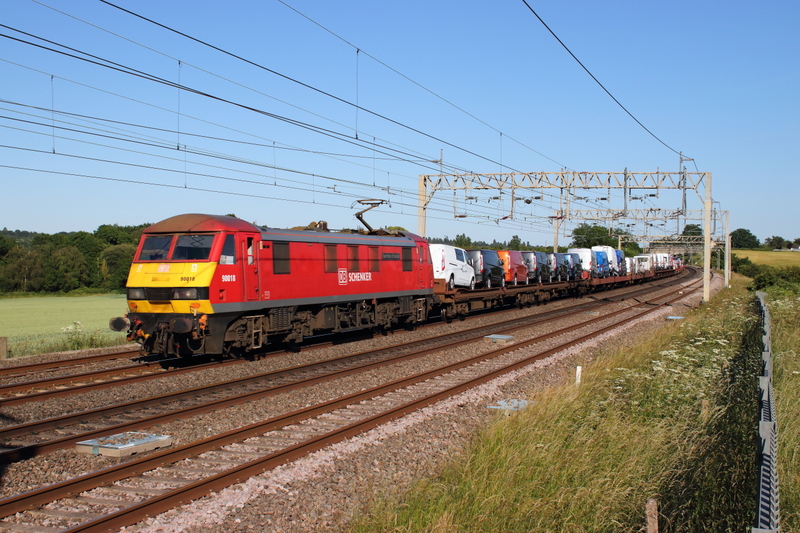 90045+66567 ..4M87 Felixtowe to Crewe liner.